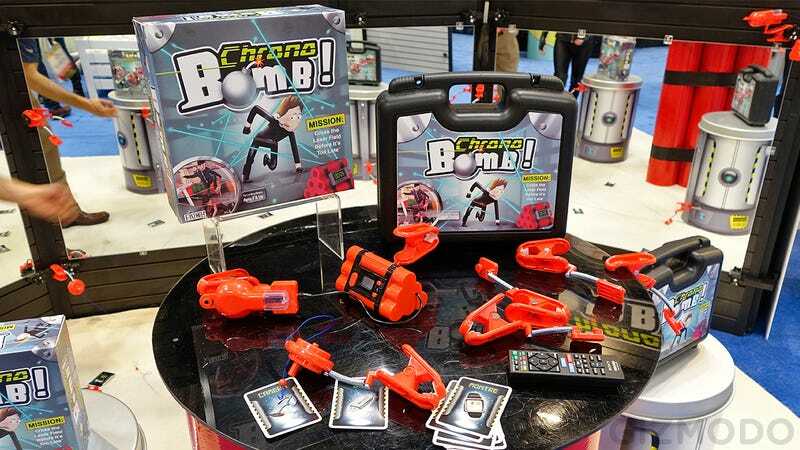 We're all about games that get kids off the couch and away from their touchscreens, and Chrono Bomb does just that by challenging players to be a near-invisible cat burglar while they collect cards and avoid trip wires that could immediately set off a ticking time bomb. The game comes with 28 feet of string that can be strung up between a series of clamped pulleys to create a complicated web not unlike the laser protection systems seen in movies. At the end of the string is a pretend ticking time bomb that will speed up the countdown if it detects even the slightest movement while players race to collect game cards randomly strewn around the web.